fish r frends not food ! 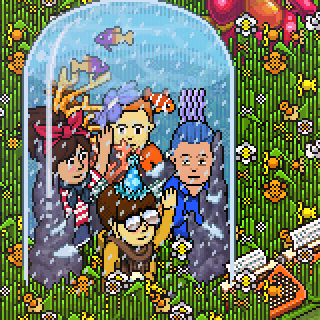 Tune into FlyHabbo.Net for a chance to win tons of prizes! Taken in this room on 10 September 2016 and received 3 likes. Taken in this room on 29 March 2016 and received 1 likes. Taken in this room on 26 March 2016 and received 3 likes. Taken in this room on 22 March 2016 and received 0 likes. Taken in this room on 29 February 2016 and received 1 likes. Taken in this room on 20 February 2016 and received 0 likes. Taken in this room on 16 February 2016 and received 0 likes. Taken in this room on 7 February 2016 and received 3 likes. Taken in this room on 2 February 2016 and received 0 likes. Taken in this room on 30 January 2016 and received 0 likes. Taken in this room on 29 August 2015 and received 0 likes.